Luckily, our customer has a great crisis plan that has been written and rehearsed at all levels; however, many organizations are not as fortunate. Every organization is vulnerable to some type of unexpected event; customer experience, cyber, terror, weather, etc. It is vital that you develop a plan that orchestrates your actions, roles and responsibilities during these chaotic events. Protecting your brand/organization should be a major priority. If you haven’t developed a crisis plan for your organization, I urge you to add that task to your to-do-list or contact us; we would be honored to help. When a crisis event occurs, people want to know, “what happen,” “what are you doing,” and “how are you going to fix this.” And based on society’s need for “information now,” people generally want these questions answered as soon as the crisis event occurs. If people can’t get their information, then they begin to speculate and believe it or not, speculation will spread and become your story. In order to decrease speculation, you must tell your story. Telling your story consists of an introduction, event summary, current actions and appointment setting for updates. This process will bring some peace to the crisis; as well as, prevent incorrect information from developing. On any giving weekend, NFL and College Football Coaches enter a game with a plan on how their team will best utilize their resources to beat their opponent. This plan includes scripted plays and possible scenarios that are practiced during the week. However, the most successful coaches are the leaders that can evaluate during the game and make slight halftime adjustments that will strengthen their established game plan. That is how you will need to manage your crisis plan. Don’t be rigid to the point that you believe your plan is too perfect; however, be open to make modifications as you go if a better alternative presents itself. I admit, it is not easy to evaluate a crisis while you are managing the crisis; but it is necessary to ensure that your plan runs smooth and addresses any limitations. When our #GoVividTeam coordinates events for our customers, we always include a closing evaluation into our service. During this task, we examine every aspect of the event and determine its effectiveness and outcomes. Crisis events should be evaluated as well…examine every movement during the crisis and the effectiveness of the movements. Once these elements are evaluated, you should determine what actions should be modified in your existing Crisis Plan and included when rehearsing your plan. 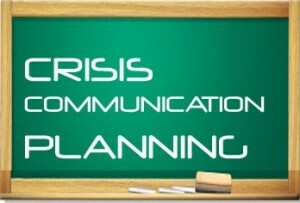 Kudos to those organizations that have their crisis plans written and rehearsed. For those organizations that don’t; remain calm, we are here to help you.